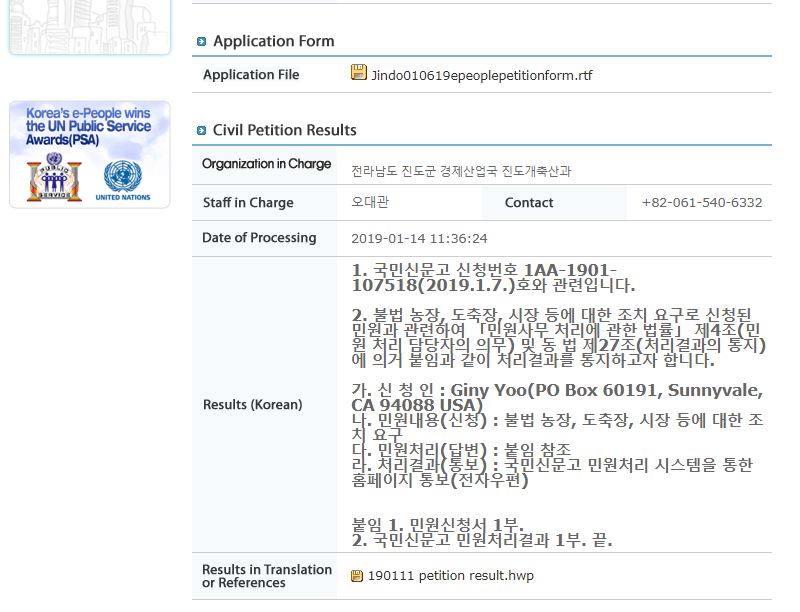 Below is Jindo’s response to our petition: Jindo, South Korea, Shut down the illegal dog meat farms, slaughterhouses and markets. Thank you for your interest in Jindo dogs. Jindo County sits within the Jindo-dog Protection Area which protects the Jindo-dog, the 53rd National Natural Monument of Korea. Therefore, our county is working diligently to systematically protect, promote and manage Jindo dogs. 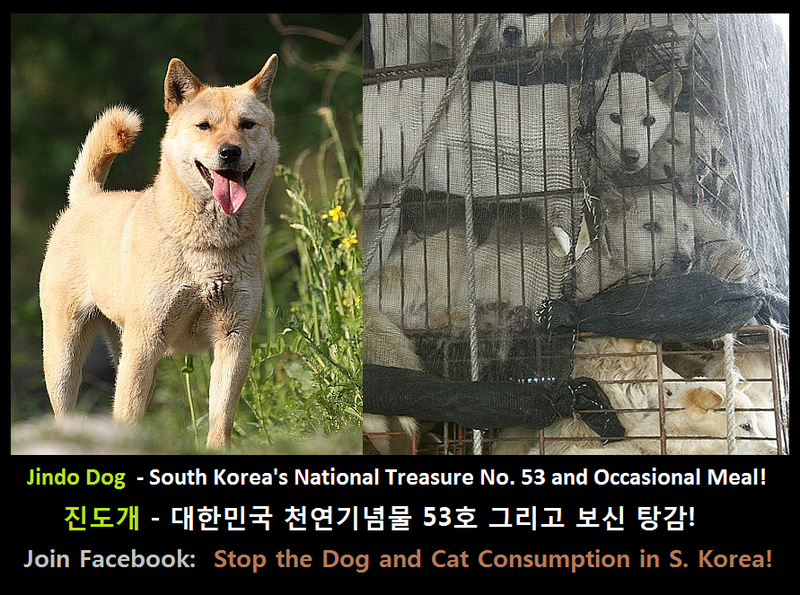 As a part of this effort, we use electronic chips to manage the Jindo dogs accurately. In order to preserve Jindo’s bloodline, we support breeding farms, disease prevention, and also support various activities for dog lovers. In addition, we hold a variety of events such as the ‘Jindo Festival’ on the theme of Jindo dog, making efforts to create opportunities for dogs and people to enjoy and empathize with each other. In this way, our county is playing a leading role in creating a culture with dogs. We do not have any illegal dog farms or slaughterhouses that you are concerned about. 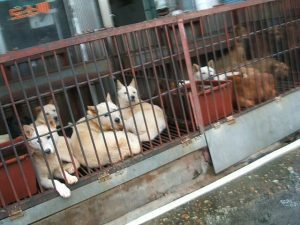 We are managing the Jindo dogs legally in accordance with the related Korean laws and plan to do our best to protect and develop Jindo dogs in the future.